We believe that wealth is more than money and material possessions. We focus on well-being. David Osborn is a real estate investor, serial entrepreneur, and the author of a book that was life changing for me. Wealth Can’t Wait is a must read for anyone who wants to upscale their life and wealth. David has founded over 50 companies, employs exceptional people, and has distributed millions of dollars to his partners. He is also an educator who teaches having an abundant life through goal-setting. He is also extremely down to earth, and it’s an honor and pleasure to have him on the show. April is financial literacy month, and I couldn’t think of anyone better to have on the show than David Osborn. His book, Wealth Can’t Wait is the current Pod Club book, and this is my third time reading it. The seven pillars in his book are very similar to the Redefining Wealth six pillars. We talk about planning, taking action, surrounding yourself with the right people, and being accountable. Wealthy people take purposeful action, and David really drives that home in this episode. Wealth is a CHOICE. You can decide to earn more, spend less, save more, and learn to invest that savings for growth. Don't you deserve financial freedom? Wouldn't it be amazing if you never had to answer to another person for the rest of your life? Develop disciplines that will serve you for a lifetime and make that choice to be wealthy. Learn to take risks and practice thoughtful measured risks. Avoiding risk makes it hard to get ahead. Don't fall into the know-it-all trap. Build knowledge over time and the status will come. Prioritize your tasks by A B and C. Then only do the As. List and prioritize everything. Become purposeful with your actions and focus on your air game, not your ground game or just doing everything that needs to be done. You have to be the CEO of the corporation of YOU. You do the most important stuff and hire people to do the other stuff. Being able to do what you want to do, with whomever you want to do it with, whenever you want to do it. 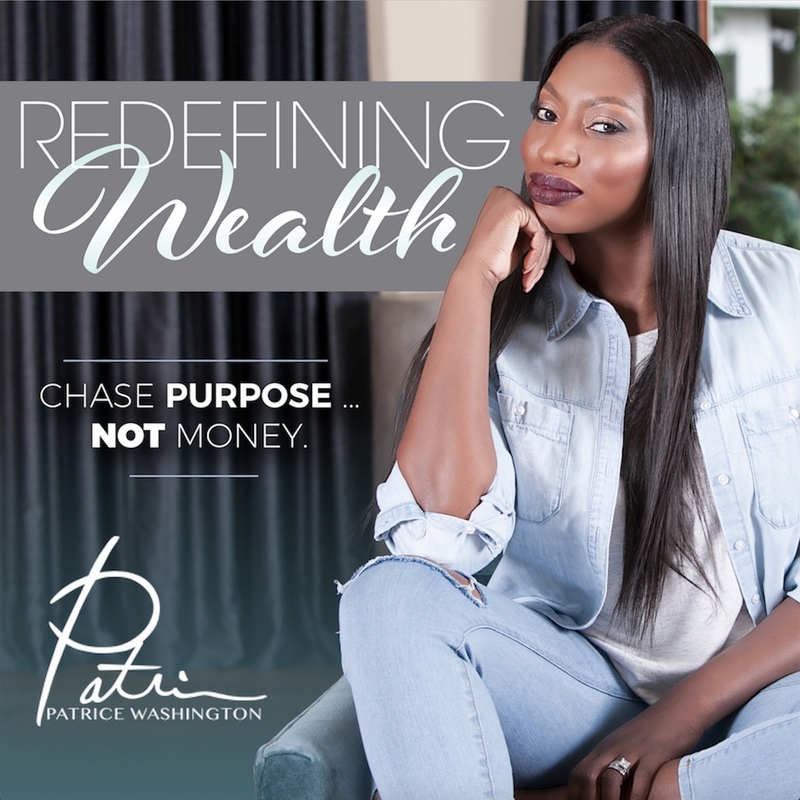 If you have questions about booking Patrice or sponsoring the podcast, email us at info@seekwisdomfindwealth.com. I love having a partnership with Capital One. They recently did a study that found that 49% of respondents reported being someone confident or not very confident at all in the car buying process. They also found that 94% of respondents didn't believe that the process was completely transparent. Dave Kang is Managing VP of Consumer Auto Finance at Capital One and he’s here to give us tips and help us become more confident in the car buying process. Thank you to Capital One for sponsoring this episode! This is a paid endorsement. All opinions are my own and were not directed by Capital One. To learn more about the Capital One Auto Navigator tool, visit CapitalOne.com/cars. In honor of Financial Literacy Month, we’re launching a new series called Confident Money. I want to focus on helping you “make money moves” with more confidence than you ever have. I know it can be intimidating to handle money from purchasing a home to investing in stocks and everything in between, but this month, my goal is to help you build the confidence necessary to make wise financial decisions in every area. 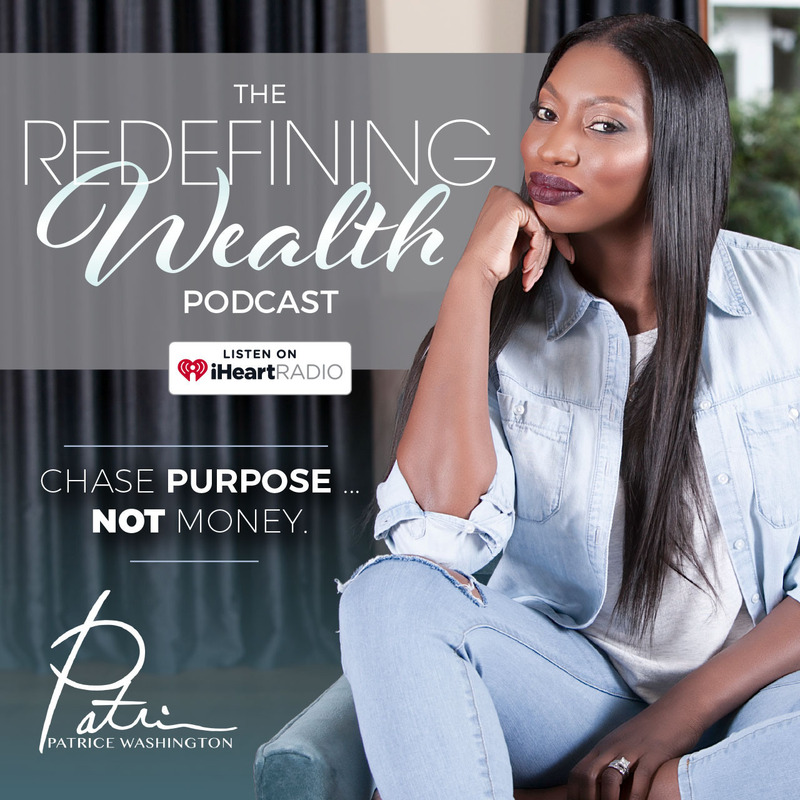 In this episode, I share my ideas on building money confidence, so you can build the wealth you deserve. Then I have a conversation with Dave Kang about the car buying process. You need to feel confident about money in order to build wealth. Clarity is what breeds confidence. Not being clear about the steps that lead up to the process breeds financial confusion. Ask why you are making this financial decision now and how it can impact the entire picture. When your decisions lack confidence, you’ve probably made a purchase from desperation. We want to make choices rooted in faith - NOT fear. Confidence increases when you have trusted resources. Always ask for help and get support in the areas that aren’t your strongest. In order to make the best financial decisions you can and be someone committed to making WISE money moves, you have to think about how to boost your confidence BEFORE you get into the transaction. We have to stop making emotional decisions and make the ones that make sense for the bigger picture. As we kickoff financial literacy month, I'm doing a REWIND episode before we start the Confident Money Series, next week. I didn't record this week, because my heart is telling me that I can grieve and mourn even for someone I don't know personally. My husband and I were just at the store where Nipsey Hussle was shot. As someone who grew up in that area, it's just heartbreaking. I will be sharing specific tips for the upcoming Confident Money Series. In this episode, I set the tone by going back to why faith cannot be your financial crutch. It will be a great foundation as we get into the Confident Money Series. Many of us have been raised to believe that money is bad or being poor is more noble. This can create conflicting beliefs. We can’t just be irresponsible with our financial lives, and then just pray for things to get better. There is a personal responsibility that comes with personal finance. Some things you just need to do. We can’t pray our way out of financial problems and predicaments. We should pray before we get into those predicaments. You have to know your own numbers. We are all responsible for what goes in and what goes out. You need to accept help when needed. Sometimes you need the help of someone else to get to what's next for you. Nurture what you do know. Words are powerful. You should wake up knowing that you are ready to manage your money and manage it well. Even powerful and successful women doubt themselves at times. Doubt has also become a common thread with women in my community. Sometimes, we think that people who are successful never have doubts or fears. The truth is everyone has doubts and fears, it’s just that the successful people choose to push through those doubts and move forward. In this episode, I will talk about doubt and give you three actionable ways to push through that doubt. I also have a big announcement about the Purpose Chaser Community. You can sign up for free to connect with like minded people. Next month is financial literacy month where I’ll be doing a whole series about money management and tips. People and women in general often think that people doing amazing things don’t have the same doubt and fears that they have. Don’t let doubt creep in and distract you from making decisions and moving forward with your goals and progressing towards success. It’s up to us to decide that we are going to do whatever it takes to push through obstacles and our own fears. Doubt is normal defeat is a choice. It’s normal to have doubt, but letting it stop you is a choice. Let the benefit of the doubt apply to you. We give this benefit to others. It’s time to give it to ourselves. Write out the worst case scenario and realize that’s not the worst thing that could happen. Rachel Luna is a good friend of mine and an entrepreneur, master confidence coach, speaker, author, podcaster, and a woman who tells it like it is. She helps women and ultra secure men find clarity and confidence to have the life and business of their dreams. She has overcome many obstacles in her life to find her purpose in helping people increase their sales and revenue through increased confidence and living with purpose. In this powerful episode, Rachel shares some of her story and how and why she became a coach. She talks about how external issues can be solved by fixing the internal issues. We talk about active journaling, listening to god, having boundaries, not being a victim, and the realities of motherhood. We change the narrative around shame, because no one can shame you. Rachel also gives some great examples of having and enforcing positive boundaries. Rachel helps people become more confident in anything. Externally, people may think they need help with something, but internally it may be a confidence issue. As she overcame her problems and found a coach to help her, Rachel’s natural talent for helping others became evident. A coach provides guidance and asks powerful questions. A consultant or mentor gives advice. Actively wait on the lord to help you by seeking answers and praying and journaling. Take action and listen to God. Sometimes it’s literally doing the work to get past the tests that we are given. Doing work you love does not have to be laborious. Don’t see yourself as a victim. Take back your power and don’t squander your opportunity. Waking up and being alive is a victory unto itself. It means that God has said I am not done with you yet, and you are still of service. You can still make an impact today. Success is yours. Sarita Maybin is an international speaker and communications expert. She has worked with clients like Hewlett Packard, Kaiser Permanente, Los Angeles County, Department of Navy and the Las Vegas Convention Center and has spoken all over the world. In 2012 she was voted Top 5 Communication Speaker and has had the privilege of speaking on the TEDx stage. She’s also the author of If You Can’t Say Something Nice, What DO You Say? and an expert in confronting tough communication situations in a positive and fun way. Today, we continue the Powerful Women Series in honor of Women's History Month. Our focus today is on the people pillar and how we communicate. We tackle the complex topic of speaking up when it might not be comfortable and talk about the importance of finding a middle ground to say what needs to be said before things blow up. We discuss how to ask for what we want using the right language. This includes giving the other party a vote by using collaborative phrases and the power of positive communication phrases. This episode is full of practical tactics for both personal and professional communication. It’s important to speak up and say what needs to be said. Use phrases like, “I would appreciate” to make requests not demands. We need to just ask for what we want. Use a phrase like, “would you be willing to?” Use collaborative phrases at home. 3 Clues that you should pick up the phone instead of email or text. Sensitive subject, conflict, or when there’s a back and forth. The 3Ps by Dr. Martin Sullivan: Don't take things PERSONALLY. It's not PERMANENT. Don't let it ruin the big PICTURE. We can use “if”, "as soon as" and "when" to set boundaries. Enjoying what you do and making a difference. Feeling that you have enough for yourself and enough to share with others. Mattie James began blogging about her favorite products and outfits in 2008. Five years later in 2010, blogging became her full-time job. In 2017, she began her Mattie James blog where she talks about beauty, life, motherhood, inspiration and more. She also creates courses and has worked with well known brands like TJ Maxx, State Farm, Olay, and many more. She is also the host of The Mattie James Show and the Mattie & Chris podcast. March is Women's History Month or what I call the powerful woman month. This month I am highlighting some dynamic women that I really admire. Mattie James is a brand influencer and entrepreneur who I admire and am thrilled to have on the show. We have been supporting each other over social media and it's great to talk with her. One of the things we talk about is giving ourselves permission which was also the theme of The Bliss Project that I just attended over this past weekend. Mattie is amazing at working with brands, but she also lives her life’s purpose with her work. She evolved from a fashion blogger to a mom who began sharing more aspects of her life. People cared more about her story, than just about what she was wearing. For Mattie, everything is content as she authentically shares her life. People want to make their lives better. If you have figured out a way to make your life better, people want to apply that to their lives. To be successful, we have got to prioritize mindset. Our success mirrors our personal development. Assuming that something good is out of reach is a reflection of our mindset. Get to the reason why you want to be successful and ask who you want to help and who you want to make better. Purpose realized and purpose actualized. Consistently working on making my purpose a reality. Anytime I fulfill my purpose, I am honoring anything and everything that is important to my life. My purpose is spreading the good news. Me sharing with you how I restored my marriage is spreading the good news. Me sharing with you how I made six figures working with brands being myself is spreading the good news. Anytime, I'm sharing the good news it's my success, because that's me realizing and actualizing my purpose. Garrain Jones has overcome crazy obstacles. In spite of everything, he learned a new approach that helped him build an amazing life full of abundance. The knowledge that he has gained his sent him down the pathway of becoming a transformation coach. This work has given him the ability to reach into a person's core and find their greatness. He helps empower them to discover it and produce amazing results in their own lives. He is a serial entrepreneur who motivates and inspires thousands of people across the globe and his mantra shares the title of his forthcoming book, Change Your Mindset Change Your Life. Garrain went through some rough times in his life and it wasn’t until he reached rock bottom and decided to change everything that he was able to have a complete transformation. He shares how the catalyst of this event was an encounter with a homeless man who shared life changing wisdom with him that he has never forgotten. Garrain shares how we all have the ability to change our lives and the lives of others if we lead by example with our words actually matching our results. Garrain came from a background of scarcity until he decided to focus on what he actually wanted. Seven years ago, a homeless man spoke these life-changing words to Garrain. Change Your Mindset Change Your Life. Garrain began surrendering and doing the opposite of everything he was accustomed to. He noticed that this created different results. He discovered that what he was actually doing was unlearning the negative thoughts that he grew up with. By taking care of your health, you are also taking care of other areas in your life. Everything we do affects everything else. There are different ways to look at situations. We get a choice of what we do and don’t have to keep repeating the same mistakes. Take responsibility and ownership of your own life. Your family can actually be the test or challenge that you need to get through before you progress to the next level. Doing what I love. Inner child love. I realized as I was finishing up the Results Not Resolutions series, that I didn't mention the best part to all of this. When you start shifting your focus to get to your next level of greatness, you can start to experience things that make you feel like all hell is breaking loose. It doesn't matter how pumped you are about setting goals and getting results, you still have to be prepared for the fact that life is still going to happen. Resistance will still surface in spite of your best efforts. We will all find ourselves coming to a fork in the road about whether we keep going or whether we give up. Butting up against resistance is why many of us fall away from our goals year after year. Today, I'm going to talk about resistance and how to work through it. Resistance is a force that acts to stop the progress of something or make it slower. All materials naturally contain resistance to the flow of electric current. We are all experiencing some level of resistance at any given moment. Expect resistance, because no one is immune to it. Even people who look like they are doing great could be going through difficult times. When we make plans and goals, we expect the vision we have for them. Set yourself up to have a contingency plan to navigate through the seasons of resistance. We have the power to reframe this resistance to be for us not against us. Resistance is here to reveal opportunities for growth. Anna Lozano and Lindy Sood are two entrepreneurs who created a business together based on the power of affirmations. They discovered that tapping into their own gifts has been a powerful transformation too. They wanted to share this with their children and Love Powered Co was created. It is their goal to empower the next generations of mindful leaders with conscious products curated for the modern family. Anna and Lindy create affirmation cards with three affirmations and a power phrase. The original intent was enabling their kids to understand how the words connect. They found this method is helpful for everyone. They use words like “I am” to help tap into the power within us. This is a powerful episode that highlights how we can all use reminders to tap into our own greatness and super powers. Our subconscious uses affirmations to tell ourselves to be better or believe in a powerful statement. Understanding how the words in our affirmations connect is helpful to everybody. Having powerful positive reminders is necessary to prevent us from self-sabotaging. Curiosity is a power not a negative. There is nothing wrong with being inquisitive. The affirmation cards for kids were designed to get them away from a screen and help them connect on a deeper level. Everyone is encouraged to connect with their higher selves. The way we speak about ourselves creates our reality. I am is the most powerful way to begin a phrase. Happiness. Does it bring me joy?